Among the advantages of being retired, especially if you live in the upper Midwest and it's a frigid winter's day, is the freedom to stay inside, burrow into a comfortable chair, and enjoy something like TCM's "Andy Hardy Festival" this Thursday, December 16. Totally undemanding entertainment from an era when Hollywood was content simply to entertain. 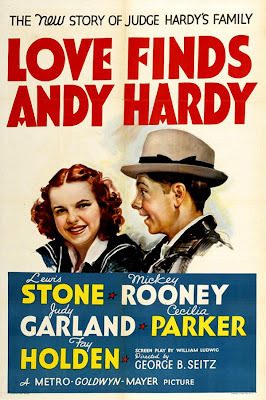 The early movies focused on the Hardy family as a whole, but the character Andy soon became the center of the series, and his name was featured in most of the titles. They were a big factor in Rooney's rise to stardom. The first two Hardy films dealt moralistically but fairly frankly with the danger of adultery among the younger generation, but the later ones avoided such controversial themes. 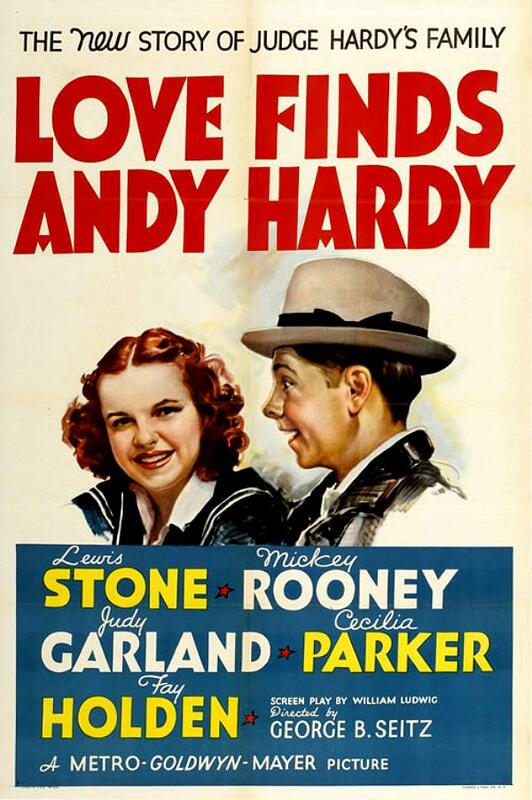 While teenager Andy's romantic misadventures were pivotal in most of the films, they were always "wholesome" affairs. The central relationship in the movies was between Andy and his father. Judge Hardy, played by the grandfatherly-looking Stone, was a man of absolute morality and integrity, but behind his stern demeanor was a gentle humanitarian with a droll sense of humor. A typical plot involved Andy getting into minor trouble with money or girls, usually because of youthful selfishness and a slight willingness to fudge the truth. But after a "man-to-man" talk with his father, Andy would listen to his own better nature and do the right thing, assuring a happy ending. Sounds like a real blast. I could imagine days like that.